Sound business practice is to use written agreements in business operations. In any business relationship or transaction there is a possibility that something may go wrong resulting in a business dispute. 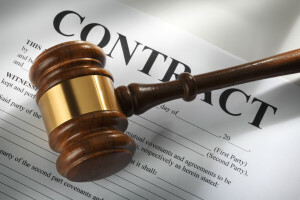 In essence, written agreements are simply a means of preparing in advance for resolving and disposing of contract disputes through litigation or other dispute resolution process. Utilizing a commercial litigator from the outset can greatly enhance the value and enforceability of business contracts. prolonged disputes, thereby saving major headaches and expense when disputes actually happen. of contract drafting and negotiating. correcting contract vulnerabilities before they become problematic. “standard” contract provisions that only come into play when disputes actually arise. boilerplate for such important, but oft-misunderstood, contract terms is almost always a big mistake. order to best protect business interests if and when a dispute happens. to protect business interests throughout the course of a contractual relationship. business relationship intend to be enforced. But business relationships are complex and dynamic. Szendel PLLC has extensive experience both in litigation and in drafting effective contracts. We provide counsel and consultation to business owners, in-house counsel and transactional lawyers in connection with high-stakes and complex contract drafting and negotiation. Please feel free contact us to learn more about how Szendel can help your company avoid risk through effective contract drafting. © 2019 Szendel PLLC - All Rights Reserved.